Hope you're all having a nice week. Mine has been noisy but productive! Thanks to The Book People I am seriously addicted to buying packs of picture books for my class, but in all fairness they are so reasonably priced...it's hard not to dive into the box whenever they arrives in our staff room! 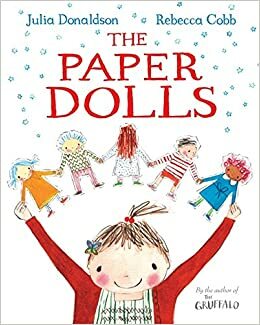 I was thrilled to pick up a pack of Julia Donaldson books last year and in it I discovered this beautiful story, 'The Paper Dolls'. Now foolishly I thought, hmmm this might be one for the girls....how presumptious and naive of me! The entire class last year were mesmerized by it, and after introducing it to my class this week for story-time, they absolutely adore it. No exaggeration. 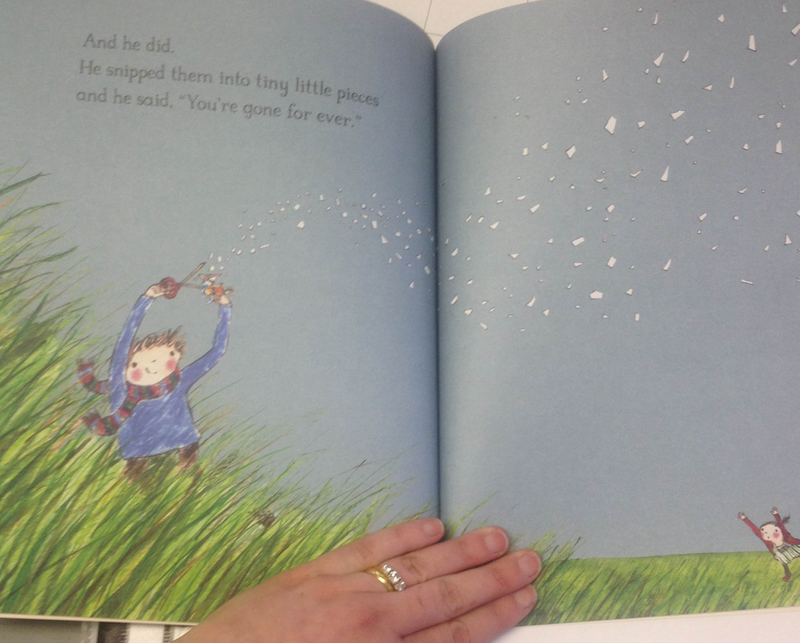 The Paper Dolls tells a lovely story of a little girl who makes a pretty string of paper dolls and brings them on lots of little adventures around her home until, suddenly, they are chopped into tiny shards by a mischievous little boy! 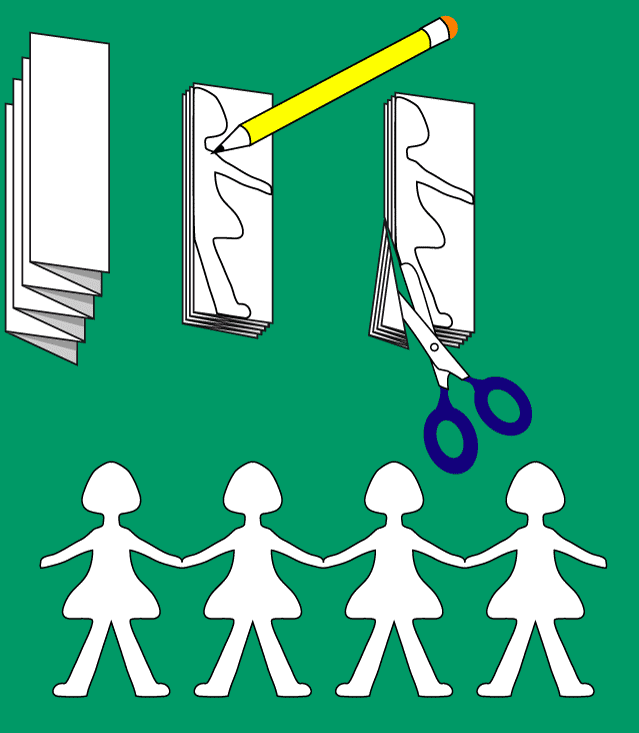 But thanks to the power of memory, the paper dolls reform and stay so forever. 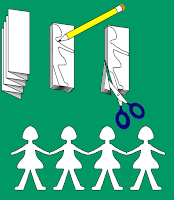 The story concludes with the little girl, now a grown woman, making paper dolls with her own daughter. A beautiful introduction to the idea of memories and their importance. There really is no better scene to watch unfolding, than 19 little faces, mouths hanging open, completely engrossed in a story,,,,hanging on every word, straining their little necks to anticipate the next page. Hardest of all, was forcing myself to swallow my giggles when 19 horrified little faces gasped as the paper dolls were chopped into millions of pieces by the naughty boy! "No!! Teacher, why would he do that? That's not using kind hands!" 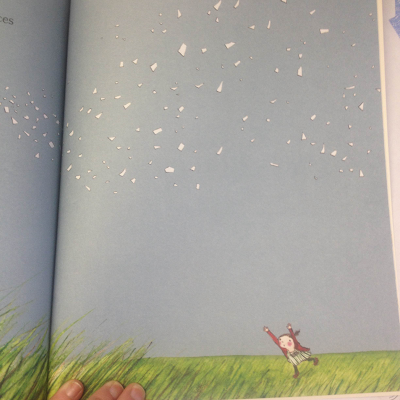 THANK GOODNESS there was a very happy ending which allowed the children to get thinking about the wonder of memories...and here we began a very spontaneous but beautiful, reflective few moments! We all closed our eyes, and I recounted the day from start to finish as the children pictured it all....any valuable points that I forgot, like a bird on the window ledge or that very entertaining but painful instance when teacher bumped her knee on the table! There wasn't a peep out of them. It brought a beautiful calming atmosphere to the end of their day. It was a lovely activity to complete the day....and something we're going to keep doing now for the remainder of the year. In conjunction with our lovely storybook, tomorrow for art, we're making paper dolls. They've already been planning the different dolls they wish to have. It'll be a tricky exercise but if you learn anything from teaching infants, it's not to ever underestimate their capabilities. I'll post some pics of the finished products tomorrow! Have you used this story in class? Or at home? Let me know!